Windstar Cruises has named its next two power yachts the Star Legend and the Star Breeze. 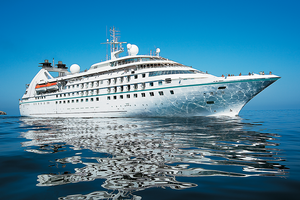 The 212-guest ships, purchased from Seabourn, will enter Windstar’s fleet in May 2015. 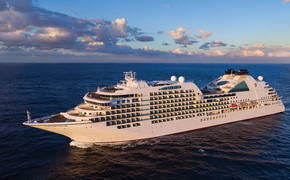 The company takes possession of the first of the former Seabourn ships, the Star Pride, on April 17 and will refurbish it before rechristening it on May 5 in Barcelona, Spain. Godmother will be Nancy Anschutz, wife of Phillip Anschutz, owner of Xanterra Parks & Resorts, Windstar’s parent company, Windstar announced in a press conference at the Cruise Shipping Miami convention. The six-day inaugural voyage will sail from Barcelona to Rome with media, trade, and Windstar’s Yacht Club members on board. PHOTO: The exterior of Windstar's Star Pride. The Star Breeze and Star Legend will spend their inaugural seasons in Europe on new itineraries to Northern Europe, including Iceland, as well as the Mediterranean. “All three of the new yachts will receive significant style changes and stem-to-stern upgrades to align with Windstar’s yacht-style cruising,” Birkholz said. At 10,000 gross tons, the three identical power yachts are 440 feet long with six passenger decks. Windstar will take delivery of Star Breeze on April 15, 2015, followed by Star Legend on May 4, 2015, in Genoa, Italy. Both yachts will undergo a major transformation to public spaces, suites, and dining venues to fit Windstar’s style of cruising. The ships will feature the line’s famous deck barbecue, the open bridge experience, and the sail-away party. Captain Alan MacAry, a 15-year Windstar veteran, will serve as master of Star Pride. In the renovations, the new ships will get the Yacht Club on the top deck, a nautically themed gathering place for drinks, sandwiches or flipping through maps and books. The vessels also will get the Amphora restaurant that will “look very similar to the restaurants on Wind Surf, Wind Star and Wind Spirit. Something new that will be introduced: The Owner’s Suites will be themed on a signature Windstar destination. For example, the Mykonos Suite on Star Pride will feature paintings showcasing the island’s views and Greek touches. 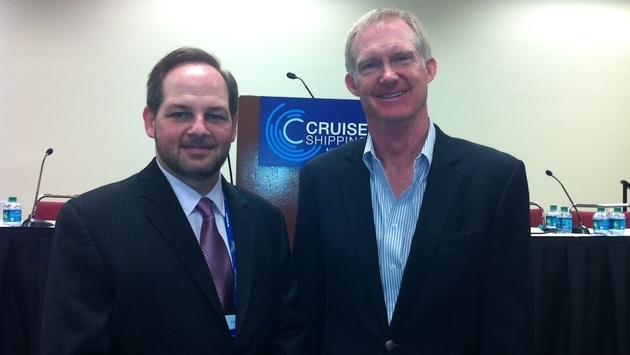 Destination suites will eventually be implemented fleet-wide. The larger fleet means new destinations. The 2015 voyages will open for sale on March 24. Star Pride will cruise in Asia and Arabia while the Star Legend will depart on its inaugural voyage from Rome, Italy, on May 25, 2015. It will cruise new itineraries in Northern Europe, including the 11-day “Land of the Midnight Sun” between Reykjavík, Iceland, and Copenhagen, Denmark. The Star Breeze will begin its maiden voyage from Nice, France, on May 6, 2015, and will summer in the Mediterranean. Also noteworthy is the Star Pride’s 18-day “Wonder of Arabia” cruise from Athens to Dubai, through the Suez Canal. The voyage features an overnight in Safaga for an included excursion to Luxor. It departs on Oct. 30 this year and April 24, 2015.